Keep on Questioning is proud to sponsor the March for Science Ithaca, a diverse nonpartisan rally to promote science education, communication and engagement with the public and the use of scientific evidence to inform policy. The March for Science will take place on the Ithaca Commons on April 22nd. 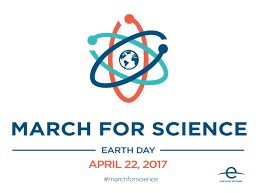 Over 400 science and educational organizations around the world have partnered with the March for Science, including national institutions like the American Association for the Advancement of Science (AAAS) and the National Science Teachers Association (NSTA), as well as local organizations like the Paleontological Research Institute (PRI). Keep on Questioning is an educational non-profit project of the Center for Transformative Action that enhances science education and communication. Through our I’m a Scientist USA program we enable dialogue between scientists and young people who may lack opportunities to engage with the scientific community. This program champions curiosity, critical thinking and participation by providing young people a forum to ask scientists questions, engage in discussions with them, find out about their work and show their support for scientists by voting. By working to enhance the educational opportunities of young people we aim to improve the knowledge and understanding of the next generation. It is vital that they understand the importance of evidence-based knowledge and the contribution the scientific process can make to progress and problem-solving. Furthermore, developing an awareness of their role in a democratic process raises their self-efficacy and prepares them to be engaged and scientifically literate citizens. In honor of the March for Science Ithaca and the work that Keep on Questioning does to further science outreach and education, you can make a tax-deductible gift to the Center for Transformative Action, Keep on Questioning’s 501(c)3 fiscal sponsor. Keep on Questioning and the Center for Transformative Action join forces. We’re proud to announce that Keep on Questioning has now joined the Center for Transformative Action (CTA). “CTA is thrilled to welcome Keep on Questioning as one of our projects. We are excited by its mission to make science fun and accessible to young people while igniting a desire to understand and improve the world. ” Anke Wessels, CTA Executive Director. CTA is an educational 501(c)3 non-profit affiliated with Cornell University, with a charitable mission to support innovative change makers with the tools that build thriving inclusive communities that work for everyone. CTA has developed a network of like-minded innovators that share resources and best practices so each can more efficiently effect positive social change. We’re delighted to join CTA and be a part of this thriving network! With other great programs such as CurrentCast and Cayuga Lake Floating Classroom we feel we’ve made the right choice in CTA. Joining the CTA will greatly expand the fundraising opportunities for Keep on Questioning and enable us to deliver more I’m a Scientist USA events. 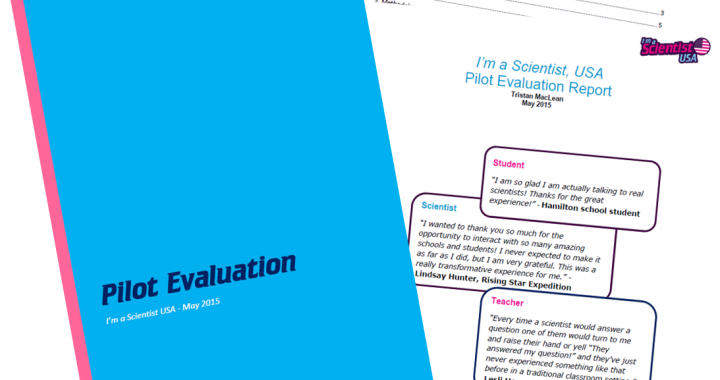 The best evaluation in STEM education. If you want to get better, you need to know how to improve. The best way to identify areas for improvement, and achieve success, is to carry out meaningful and thoughtful evaluation. We want to carry out the best evaluation possible and we can. I’m a Scientist is able to collect detailed data about how our participants engage during the event, enabling unparalleled analysis of the effectiveness of the program. We don’t just crunch massive amounts of data in our evaluations, but we also undertake surveys and conduct interviews with our participants, to find out what the impact is. This results in, what is probably, the best evaluation you can find in STEM education. To download and read the full evaluation click here. If you don’t have time to read the full evaluation we’ve written a little summary you can get through faster than a cup of coffee. To all the teachers and scientist who helped with the evaluation we’re really grateful for your time (and all the lovely things you said). Thanks to you we can plan bigger and better events for 2016. Keep on Questioning is delighted to have two new additions to our Advisory Board; Kitty Gifford and Jaime Hurlbut. Kitty’s professional experience is in design and communications and she was recently appointed as Director of Communications at the Boyce Thompson Institute. In her spare time Kitty likes to go out sailing on Cayuga lake and somehow she also finds time to curate Ithaca’s Science Cabaret. Kitty has boat loads of experience on boards and working with non-profit organizations and we’ve been extremely fortunate to benefit from her knowledge and insight. It was due to her support and encouragement that we were able to run our first I’m a Scientist USA live event in conjunction with Science Cabaret back in May. Kitty’s addition to the Advisory Board is a fantastic development and we’re really excited to have such an intelligent and savvy communicator guiding us. 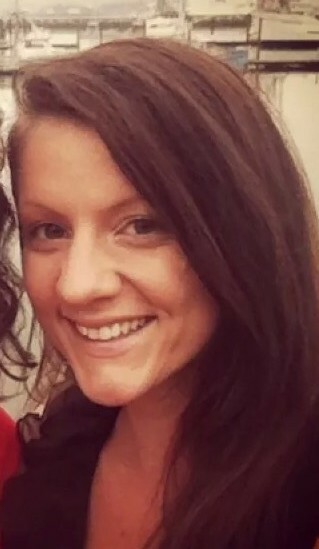 Jaime is a science teacher at Vestal Middle School. She signed up her grade 7 class for the Hydrogen zone; the first I’m a Scientist event to be run in the USA. She kindly invited us to come and observe her class during one of the live chats and straight away it was obvious that she was a great teacher who really goes the extra mile to provide the best learning experiences for her students. After I’m a Scientist USA’s Hydrogen Zone in May Jaime stayed in contact and was very helpful and supportive as we evaluated the impact of the event. Having a teacher on our Advisory Board is really important to us and we know how hard teachers work so were really pleased when Jaime agreed to join the Advisory Board and bring her classroom experience to the table. Going forward we expect Jaime will be one of our most valuable board members, keeping us in touch with the ever changing environment in the classroom. Keep on Questioning is proud to announce the launch of the first I’m a Scientist USA event on May 11th 2015. 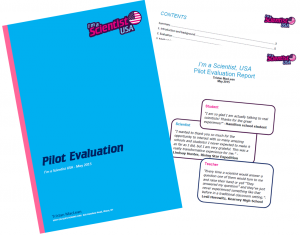 Based on the highly successful I’m a Scientist, Get me out of here, that is currently running in five countries, UK, Ireland, Malaysia, Australia and Kenya, I’m a Scientist USA will enable more US school students to engage with scientists across America. Here at Keep on Questioning we believe the I’m a Scientist program will help us to achieve our mission……….. to inspire, engage and educate people by connecting them with professionals and experts. Evaluations of the impact of the program in the UK found that 96% of teachers now feel their students have a more positive view of science and 79% feel their students are more able to debate scientific issues. In the same survey 74% of students now feel more (or much more) confident in asking questions about science and 98% of scientists were positive about their experience of the event. The pilot I’m a Scientist event will be a general zone in May 2015 to demonstrate the event can work in the US. If successful we will seek funding to run more zones in the autumn and next spring.